Here at The Log Shed we pride ourselves on providing our customers with the best quality product, giving outstanding service and helping with invaluable advice. We deliver 7 days a week. The Log Shed has been supplying the finest logs for over 10 years and has built a reputation built on first class products, trust and good old fashioned customer service. Our vehicles are able to access most driveways. Most of our vehicles are fitted with Hiab cranes. Your logs will be lowered to ground level with the crane. The crane arm has a reach of 2.5 meters. We are able to lift over hedges and walls subject to no height restrictions. Looking for a log supplier in Halifax? Our aim is to provide you with the finest quality products, first class service with a speedy and efficient delivery. Our staff are available 7 days a week to advise you on the best possible products for your needs. All our wood is delivered in bags or stacked in crates for ease, convenience and no mess. We do also offer a stacking and a deliver to point service. 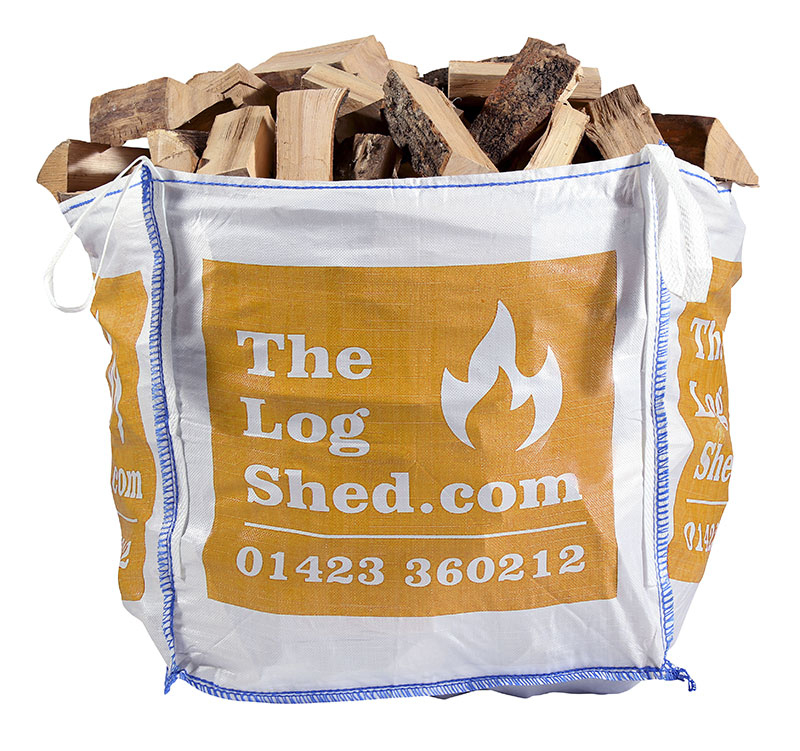 We offer a wonderful range of products including kiln dried hardwood logs, mixed seasoned hardwood logs, combo bags and softwood logs. Our range of log baskets, log stores, stove fans and fireside accessories will look great in any home. Kiln Dried Ash – Ash is said to be the ‘Rolls Royce’ of wood. Giving a clean burn with maximum heat output. Kiln Dried Oak – Oak is a very heavy, dense, slow burning wood which gives an excellent heat output. Oak is ideal for use once your fire is at optimum heat and also for overnight burning to keep your stove alight, a very economical choice! Kiln Dried Silver – Our Kiln Dried Silver Birch provides a clean burn with an excellent heat output. Silver birch is very easy to light and control, getting up to temperature very quickly – very good for first time users. Our Traditional Seasoned logs are 100% British from sustainable sources, they are air dried for a minimum of 24 months giving them an average moisture value of 20%. They are suitable for open fires, wood burning stoves and fire pits. We work together with a local skilled joiner in Yorkshire to provide wonderful hand crafted log stores. They are available in 3 standard sizes but we are also able to make bespoke sizes to add shelves, doors or to fit into an awkward area at your home, just ask us for a quote we will be happy to help. Our range of superior, top quality Rattan log baskets give you your ideal indoor storage. Our chunky log baskets are extra strong, they come in a range of sizes with options of Hessian liners, handles and wheels. Rattan is a naturally renewable material that is light, durable, strong and relatively flexible. We also stock a range of fireside accessories including companion sets, Ash & Kindling buckets, heat gloves, stove thermometers and the incredible heat powered stove fan. Our logs are delivered in our dumpy bags, barrow bags or crates for ease, convenience and no mess. Our vans have a Hiab Arm or Tail Lift to help with deliveries which means we can deliver the bags over walls, straight into garages, etc.